Obituary for Evelyn A. (Nagy) Strzelecki | Devlin-Rosmos-Kepp F.H. & C. S.
Evelyn A. (Nagy) Strzelecki, 90, wife of the late Walter Strzelecki of Phoenixville, PA, passed away peacefully on Thursday, August 2, 2018 in Seasons Hospice. Born on May 14, 1928 in Phoenixville, PA she was the daughter of the late Louis and Julia (Demeter) Nagy. She was a circuit board assembler at the Bud Company and worked at Control Data. 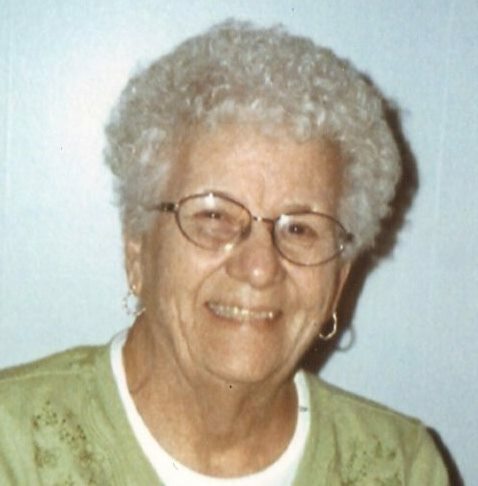 She was a member of Holy Trinity Catholic Church and was a member of the Ladies Auxiliary. She enjoyed bowling, bingo, roller skating, football, baseball, and golf. She was a loving and devoted wife, mother, and grandmother. She is survived by a son, Edward husband of Sharon Strzelecki. Staci wife of Eric Turney. 4 Great-grandchildren: Acacia, Braydn, Teagan, and Jace. She was preceded in death by brothers: Louis and Edward Nagy. Relatives and friends are invited to attend her Funeral Mass in Holy Trinity Catholic Church, 219 Dayton Street, Phoenixville, PA on Wednesday, August 8, 2018 at 11:00 am. A viewing will be held in church from 9:45 to 10:45 am. In lieu of flowers contributions can be made to Seasons Hospice, 140 Nutt Road, Phoenixville, PA or Phoenixville Hospital Cancer Center, 824 Main Street, Phoenixville, PA.